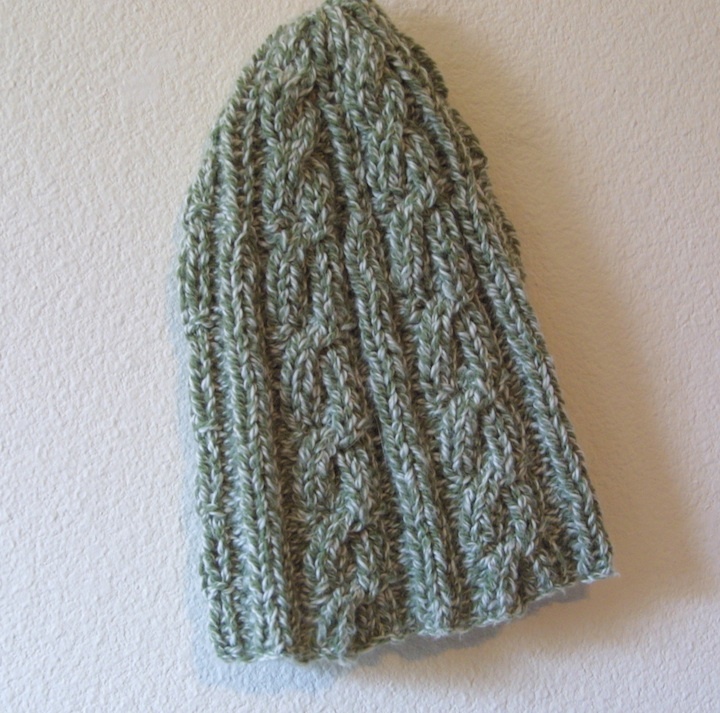 A Beanie or Tuque… depending on where you live. Now I know I gave someone I know this hat… but for the life of me I can’t remember whom specifically, it was either Calvin, or Al, or Mary or Dad. So if any of you are reading this…. I have some mittens! Now, to start with I didn’t find dpns in size 4 at the local hardware shop… (yes I live in a town of the size and age where you can purchase knitting needles from the hardware store) so I did pick up some size 3, which is slightly smaller and knit the smallest size. 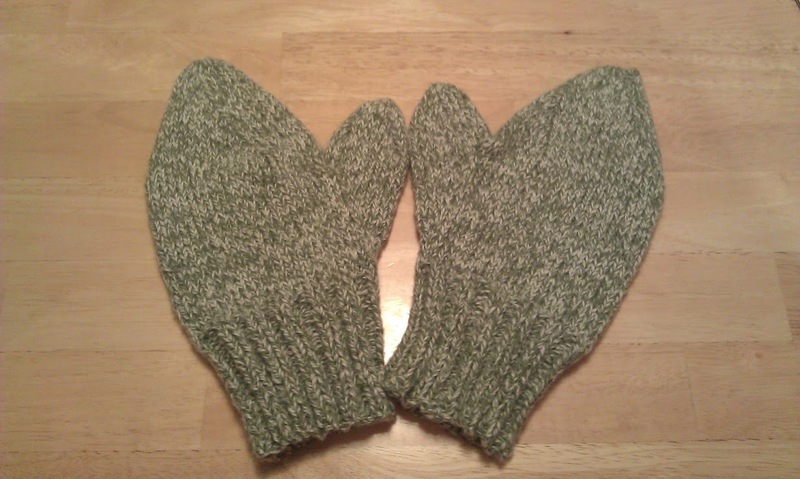 Turns out… These mittens seem a bit bigger in a few places so my next pair will need a different pattern… ah well! But they do have the advantage of being ambidextrous. At some point some enterprising homemaker devised the one fool proof method for ensuring that a kid wouldn’t ever lose their mittens. No it wasn’t the elastic with clips on both ends, that turn frigid cold and packed with snow at the most inconvenient of times. It was the long rope cord connecting mitten A to mitten B. Almost as old as that, is the pattern I used to make my first mittens. Apparently this is a pattern from Eleanor Roosevelt’s knitting patterns, and you can find it at knitty.com. Anyway… if I did give you that hat and you’d like the mittens, let me know. And if you want a cord linking your mittens together… I have just a little bit more of that yarn!